Hi friends! I have just uploaded a product that has been on my "to create" list for the past two years. 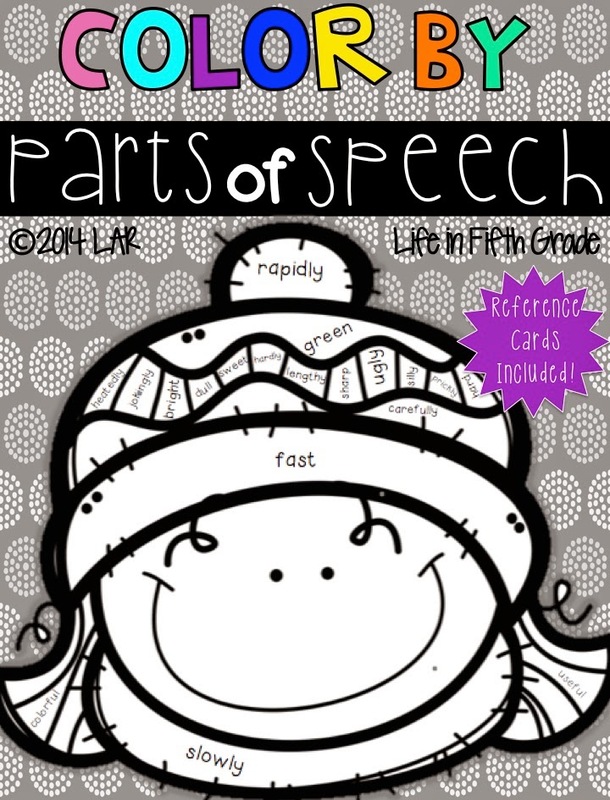 My kids have always struggled with remembering what basic parts of speech are like nouns, verbs, and adjectives. When you start throwing in main verbs and linking verbs, it really doesn't help when they don't even know what a verb is in the first place. We needed some review. Like now. 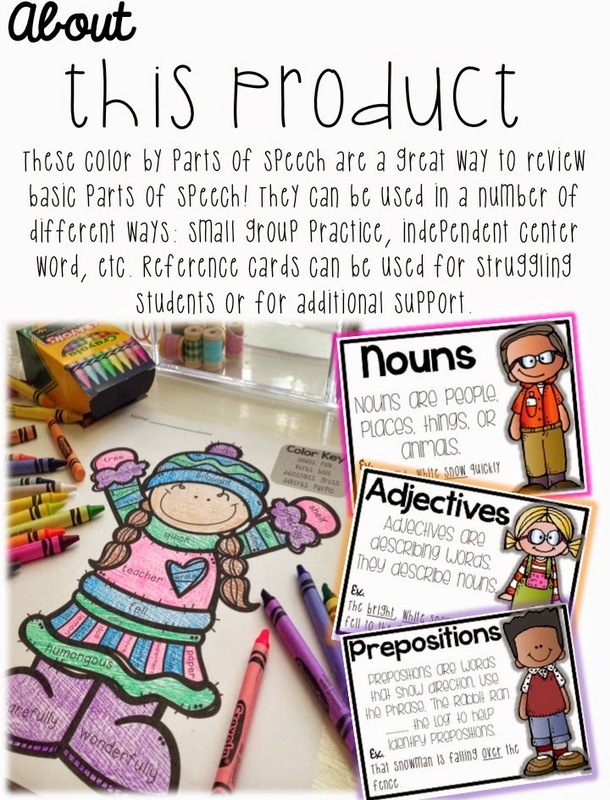 Thus, Color By Parts of Speech was created. For those who are still struggling, I've also made reference cards that they can refer back to for a little additional help. The reference cards provide a definition and example to look at.